Short sales are viewed as a last resort by most homeowners, and often even by realtors. But while they do have their drawbacks, there’s a reason they’re the most popular solution to troubled mortgages these days. Borrowers have just as much to gain from short sales as lenders and buyers, especially when taking the differences between short sale and foreclosure into account. Read on to learn more about short sale foreclosures and how borrowers can turn it into a win-win situation. A foreclosure and a Short Sale both involve losing your home, but a short sale can also mean letting go of your mortgage obligations. In a typical short sale, the lender waives the right to seek the deficiency, or to sue you for the difference between your balance and the selling price. This may not always be the case with either, but between a short sale and a foreclosure, the former often allows you to move on and get back on your feet sooner. While foreclosure and short sales both have negative impacts on your credit, a short sale carries less damage and is easier to recover from. You lose between 250 and 400 points after a foreclosure, while a short sale pulls your score down by just 80 to 250. The negative effects of a short sale will stay on your credit report for a shorter period - from three to seven years, compared to the standard ten years of a foreclosure. Some lenders will even write it off sooner. A foreclosure on your record will turn most lenders away, whether you’re applying for a mortgage or a new credit card. With a short sale, lenders are more understanding, and may even go out of their way to help you so you can rebuild your credit. Banks are aware of the circumstances surrounding short sale foreclosures, and they know that those who lose their homes in a short sale have at least tried every possible way to get back on track. Finally, the biggest and most obvious advantage of a short sale is that it saves you and your lender from the whole foreclosure process. The main difference between a foreclosure and short sale is that the latter is much more convenient—you’re selling the home as a regular property, instead of going through a public auction. You also get to control the sale better, work with an agent you like, and choose who gets to buy your home. Author bio:- Author is a professional short sale/ real estate agent who completely understands the Short Sale process and helps people who need short sales, or who want to sell for any reason. He can also help people who are having difficulties but want to keep their home. 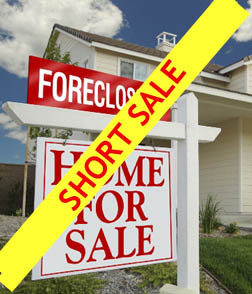 Visit www.shortsalesafe.com to get more information about what a short sale is, how to do a short sale and how to best resolve your situation.